Cleaning a chimney is necessary to keep it running efficiently as well as safely. The right way to maintain and clean the chimney is by hiring well-trained, experienced chimney cleaners. 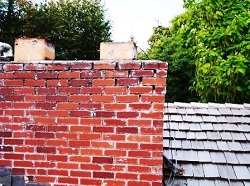 In Covington, WA, homeowners who avoid getting their chimneys cleaned by professionals are unlikely to be safeguarded against fires that can breakout in a dirty or clogged chimney. 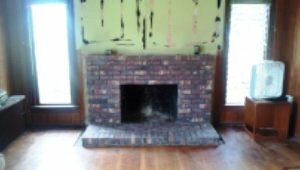 Get in touch with Professional Chimney Solutions, Inc. any time you need chimney cleaning service in Covington. We dispatch our crew as soon as possible and send them to your place. We also see to it that they provide you with the most efficient and professional chimney cleaning service. Condensed flue gases and the wood particles that are left unburned create a sticky build up in any chimney flue. This tar can be quite tough to remove. However, letting it be is not an option as its accumulation can pollute the indoor air and even cause a chimney fire. The chimney cleaners we send to your Covington home are not only aware of the importance of doing the job thoroughly, but they are also well-equipped to do so. We have our chimney cleaners trained on an ongoing basis so that to stay updated with the latest innovations in the industry. We are committed to ensuring the satisfaction and safety of our customers. Our chimney cleaners understand that the sincerity they work with has a major impact on the future well-being of our customers and their families. With any amount of dirt, tar, etc. 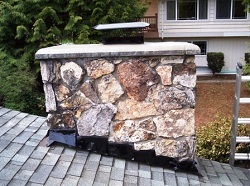 You can also call us for chimney inspections in case you suspect that your chimney is unsafe to use. We work honestly and recommend chimney cleaning service only if actually required. Call Professional Chimney Solutions, Inc. at (253) 448-3987 to schedule a visit from our chimney cleaners to your Covington home.